Yes even the busy Brainerd Lakes area of Minnesota has some wonderful places to bird and enjoy other wildlife. Here are a few areas that I have enjoyed over the years that have provided some very nice sightings. If your visiting the Brainerd Lakes area and looking for a local professional guide please see our guiding page for more information. The spring/fall migrations are the best times to bird these areas, hope to guide you soon. 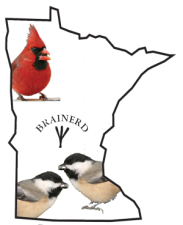 My top 5 Birding Locations for Brainerd, Minnesota: Links coming soon! 5. Northland Arboretum (Brainerd’s only Important Bird Area) IBA.